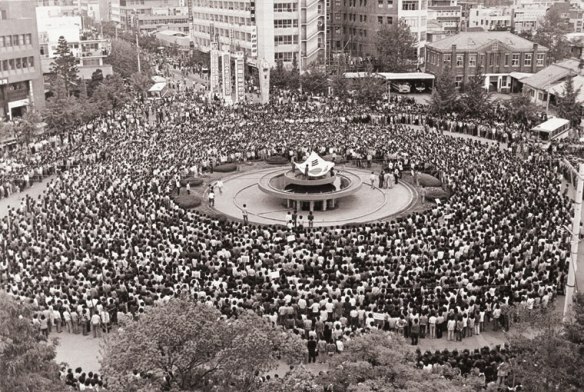 A detailed account of the May 18 popular uprising in Gwangju, South Korea, against the dictatorship's declaration of martial law and for workers' rights in 1980. The text is by the official May 18 History Compilation Committee of Gwangju, and so has an overall liberal, social democratic bent (albeit one which acknowledges the legitimacy of armed resistance) but it does contain lots of useful factual information about the uprising. It's also worth taking a look at the novel which is a fictionalised account of some of the Gwangju events: "Human Acts" by Han Kang. Again, it's rather liberal. It's mostly focused on how horrible the mass murder and torture carried out by the state was - which I don't doubt! - rather than the nature of the uprising itself.